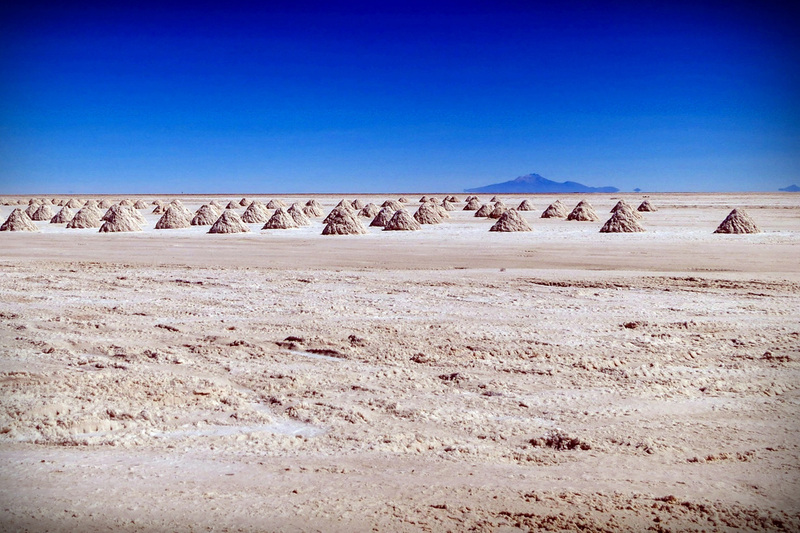 We are in the midst of driest desert in the world, where summer temperatures commonly top 38˚C. It’s quite a change from what we have been experiencing in the high altitudes of Ecuador, Peru and Bolivia and we pack away our thicker wool shirts for a while. Our first stop of the day is the enormous Jumbo supermarket that caught our attention as we rolled into town last night. I’m not sure just how long it’s been since we stepped inside the front doors, but it’s possible that we’ve been here for hours – wandering the aisles in awe. It’s as if we haven’t seen food before. After months of eating almost exclusively chicken, rice and beans, the choices here are mind-boggling. We want one of everything. After some tough decisions, we settle on an assortment of breads, cured meats and cheeses – the foods that all of us seem to be craving most. We leave the store with bags and bags of food – ending up spending close to CLP45, 000 on food, wine and beer to see us through the next few days. Yup, prices are high in Chile (and we got a little carried away). Heading into the parking lot, we don’t even make it back to the bikes before the ends are ripped off a loaf and gnawed away from a sausage. Out on the highway, we find a sun shelter and stop for a picnic of sorts. It’s heaven. Stefan, Miles and I all have knives in hand, carving off chunks of meat and cheese. The highlight is jamón ibérico, a cured ham from Spain which we consider a luxury even when were are at home. This is true indulgence, and we’ve earned it. As we begin to wrap up our meal, a BWM motorbike cruises past, turns around at the next intersection, and then heads back to us for a visit. Our latest companion is Jeff, a German biker currently living in Austria and touring South America for about three months. 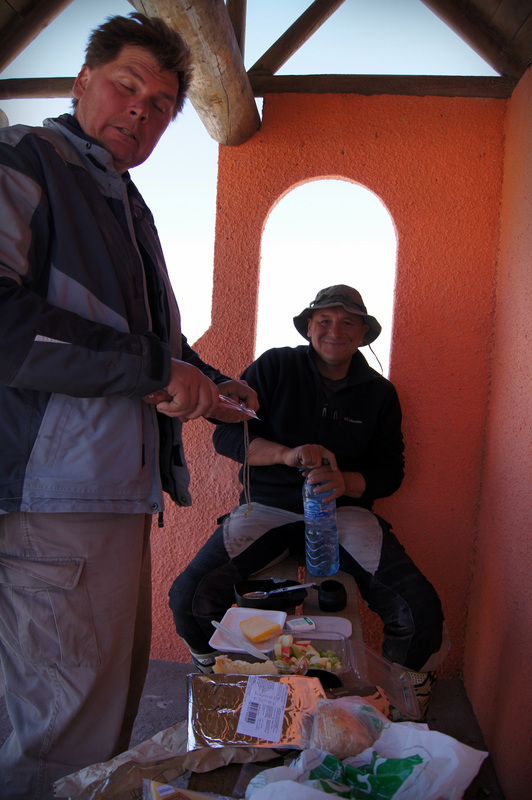 Together, the four of us get back on the road, heading through the desert and the Salar de Atacama. These salt flats are not as dazzling white as the Salar de Uyuni in Bolivia. The crust looks like a coral reef in some areas and like ice shards in others. I had expected the landscape in this desert expanse to be somewhat monotonous, but it’s far from it.